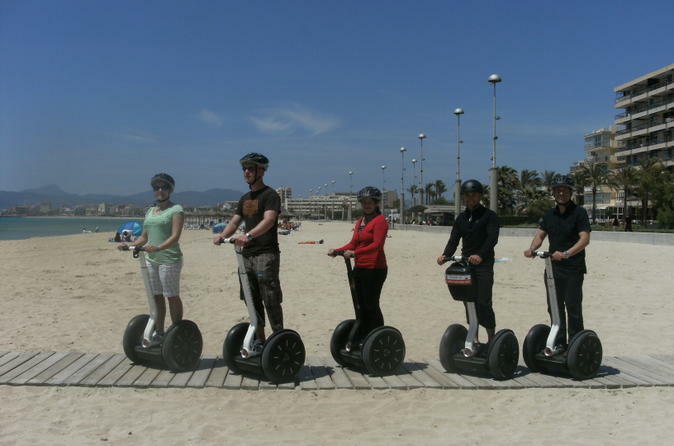 Explore the sights of Palma de Mallorca by Segway on this fun, eco-friendly tour. 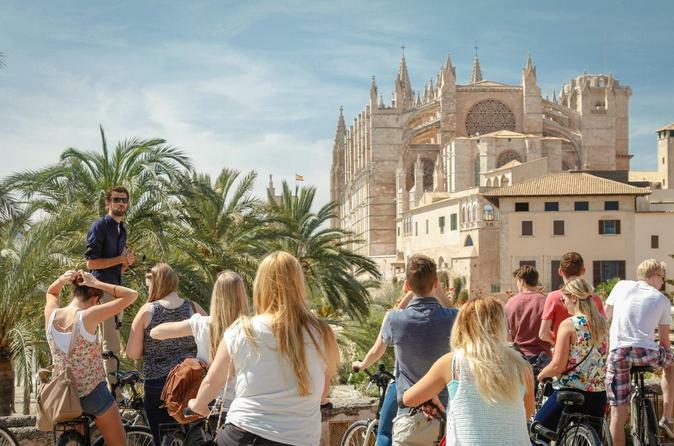 Get up close to top city attractions such as Palma Cathedral on a 1-, 2- or 3-hour tour, and learn about the history of Mallorca’s captivating capital. With a local guide leading the way, zip around the city center and Palma de Mallorca Old Town. Then, depending on the option selected, zoom along the sun-kissed coastline or lush gardens to Portixol and Ciudad Jardín beach. Numbers limited to six people, ensuring a small-group experience. 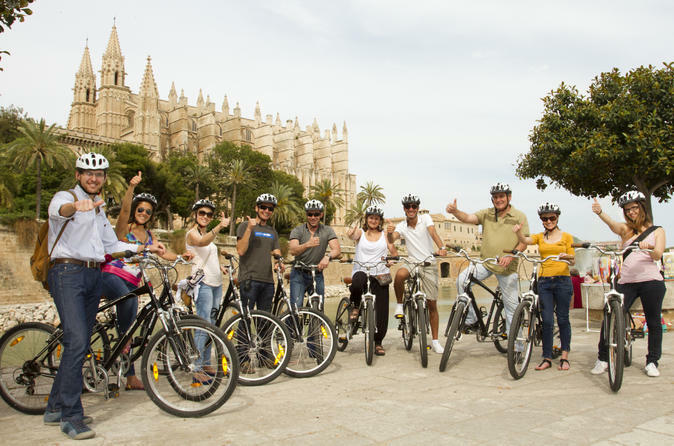 Cycle and sightsee on a 3.5-hour bike tour of Palma de Mallorca! 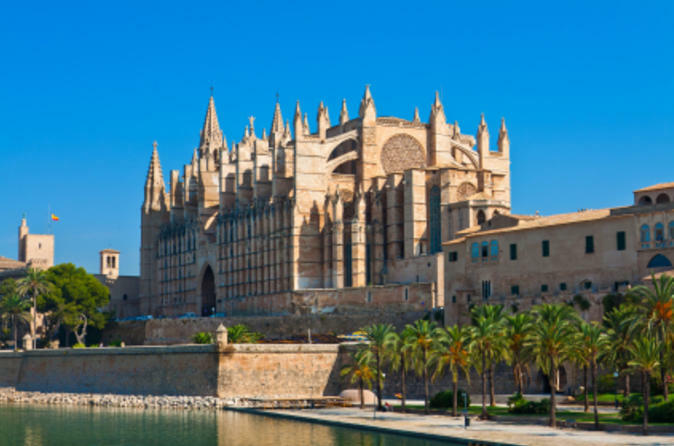 While following a local guide at a leisurely pace, see top city attractions such as Palma Cathedral and learn about the history of the island’s captivating capital. Upgrade to include a visit to a tapas bar — one of the locals’ favorites —and complete your experience with three delicious tapa plates, teamed with a drink of your choice. Discover Palma de Mallorca on a 3-hour guided bicycle tour that will make you feel like a local. Learn the history of the city, discover hidden landmarks and visit the most remarkable monuments as you cycle around the old town area. Make the most of this amazing Mediterranean paradise by riding through its quiet streets and cycle paths in a safe, ecological and fun tour. 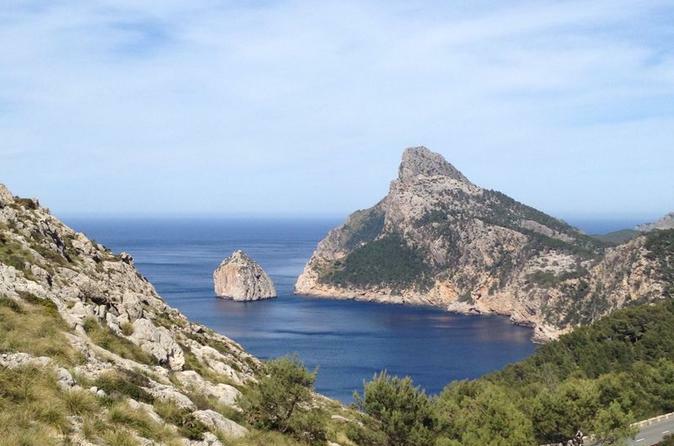 This day out will take you to see some of the most beautiful places in the North of Mallorca: stunning views of the area of Formentor, a stop for a swim at the well known beach of Formentor, a 20 minutes boat trip, free time in Puerto Pollensa and a visit to a local market. 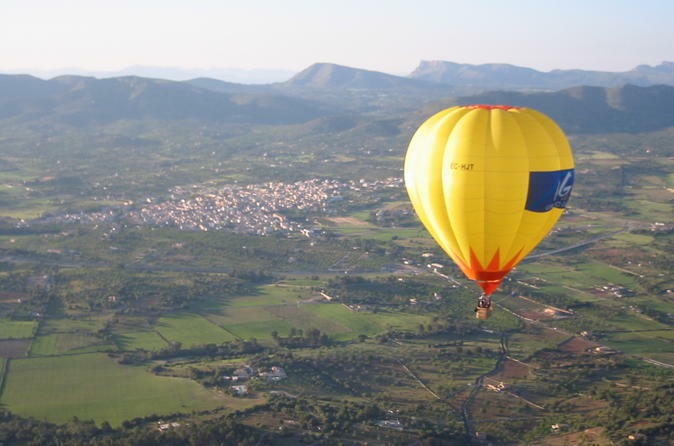 Glide up, up and away on a morning or afternoon hot air balloon ride over northeast Mallorca! Taking off from the popular coastal resort of Cala Millor, the balloon experience provides aerial views over the stunning beaches and pine tree–clad coastline for which northeast Mallorca is famous. Gaze in awe at the vistas while enjoying roughly two hours in the air, and then return to ground to celebrate with a glass of Champagne. Upgrade to include round-trip transport from your island hotel. Get swept up into an exciting pirate show as you feast on a hearty dinner on the island of Mallorca! Get ready for a night of acrobats, gymnastics, swashbuckling swordplay and pirate duels during an evening that perfectly blends action, adventure, comedy and romance. It’s a dining experience like no other. 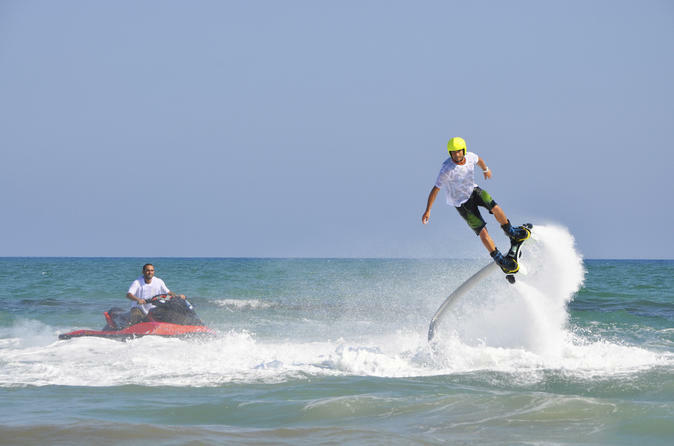 Channel your inner superhero with a 2-hour flyboard experience in Mallorca. Try your hand at the cool water sports craze, where water-jets power you above the sea in a serious adrenaline rush. Get directions from an expert instructor, then ride a boat out from shore and enjoy a 15-minute flyboarding flight. Thrill as you blast yourself into the air, make turns and hover over the water. Then, watch others in your group have a go as you enjoy the onboard music and soda. Receive personalized attention on this small-group tour limited to eight people. While your cruise ship is in Palma de Mallorca, get acquainted with Mallorca’s beloved wines on a 3-hour shore excursion. 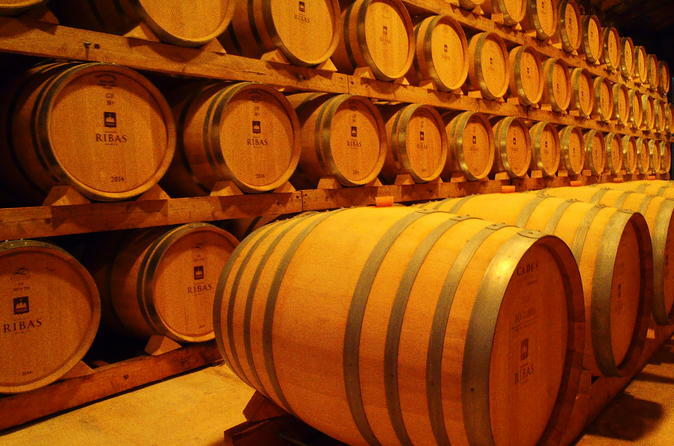 Travel through the countryside and visit a winery to discover its wine and production process. Admire the vineyards set against the Serra de Tramuntana, and tour the facilities and cellars. Sample at least three glasses of wine as you chat with a winemaker host, and enjoy delicious snacks including cured sausage and local cheese. Before you return to port, purchase some of your favorite tasting wines, if you wish. While you are in port in Palma de Mallorca, explore the villages of Valldemossa and Palma de Mallorca on a private shore excursion with a private guide. Marvel at the beautiful Mediterranean Sea as you drive along the northwest coast toward Valldemossa. Wander around this charming village, grab a coffee in one of the numerous cafes and enjoy views of the Serra de Tramuntana, a UNESCO World Heritage-listed mountain range. Stop at Bellver Castle for stunning views of Palma, and stretch your legs on a walking tour of Palma. Walk past the Cathedral of Santa Maria (commonly known as La Seu), the Royal Palace of the Almudaina and the old fish market, before you return to your cruise ship. When you arrive in port in Palma de Mallorca, discover the beauty of the island on a private shore excursion. 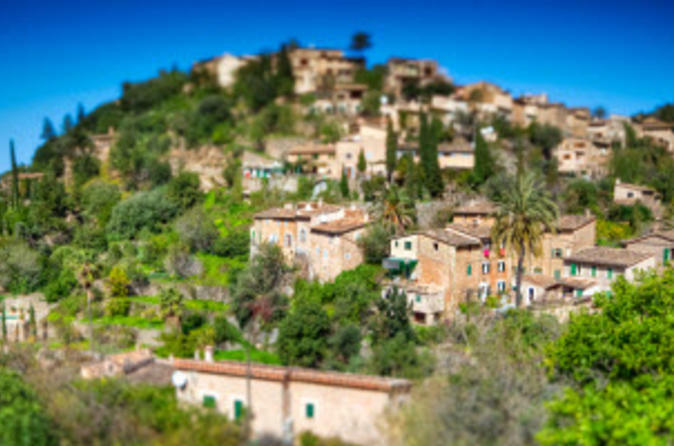 Enjoy panoramic views of the Mediterranean coast on the drive to Valldemossa, a beautiful village with traditional stone houses. See the coastal village of Deia and the Soller Valley, full of orange and olive trees. Wander around Port Soller, a popular seaside town, and sample local food (own expense). Take in views of the UNESCO World Heritage-listed Serra de Tramuntana, a mountain range parallel to the northwestern part of the island, while your cruise ship waits in the Palma de Mallorca port.